Our clients’ interests are always at the centre of each decision we make. STP, DMA, ECN, none-dealing desk execution; concepts widely used across Forex industry, acronyms many time used to symbolize, being true or not, that the broker is "sending client’s trades directly to the market and not profiting client's losses". At Tier1FX we go beyond the concept, being an agency broker personify our values and the way we conduct business. Concepts as transparency, fairness, boldness and best practice is the soul of our broker house. Tier1FX is a boutique broker house where we ensure that client’s interests are our interests. 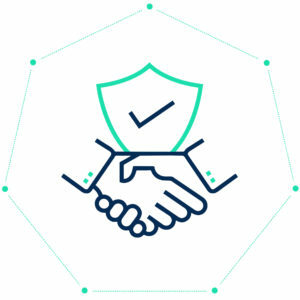 By offering a unique combination of technology and best industry practices, we guarantee the same optimal trading conditions to all our clients. We can certify that Tier1FX does not benefit of client’s losses in any way. Trade in the real Market: We are an agency broker, we route each client trade to the best available liquidity provider without intervention. We offer none-marked up spreads to all our clients. No slippage intervention: Unlike other brokers, Tier1FX does not interfere in the normal execution of client's trades. The immense majority of trades are executed at the requested price or better. Transparency: full post-trade report available including slippage, counterparty, price at origin. No conflict of Interests: Tier1FX will not profit of clients' losses in any circumstance, we don't take risk, we don't get losses shares from other brokers. We only trade with T1 banks and reputed financial institutions. Customer Centric Model: Client's are always first in any decision we take.